Welcome to the Moreland School District Student Services and Special Education Department. For more information on the middle school Comprehensive Sexual Health Instruction and Positive Prevention Plus Curriculum, please click on the link provided. The Moreland School District is a member of the Special Education Local Plan Area (SELPA) III. 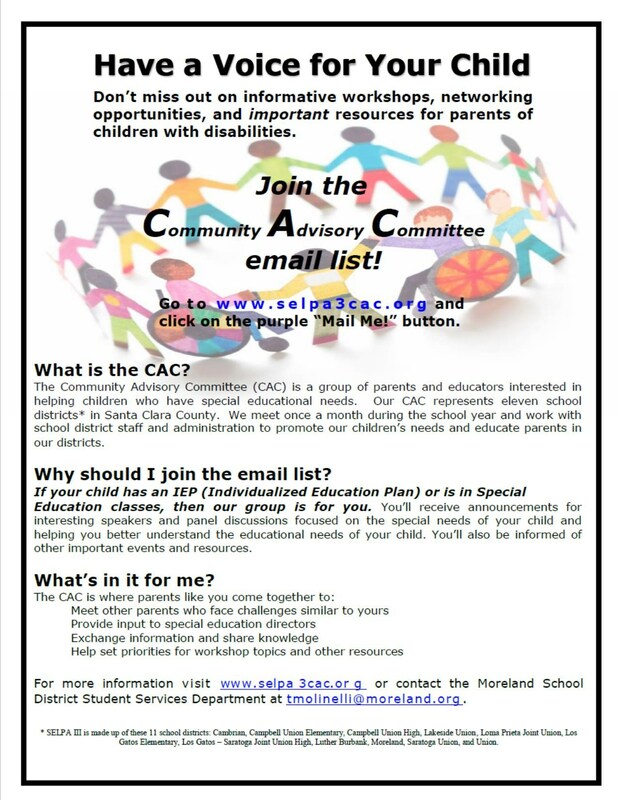 SELPA III maintains a Community Advisory Committee (CAC) to provide support and information to parents. Additional information regarding the SELPA III CAC is available at http://www.selpa3cac.org.